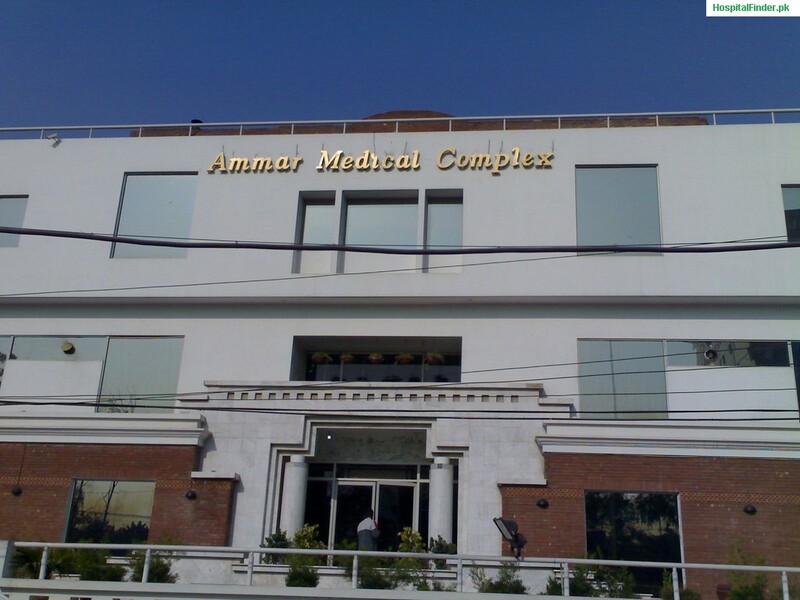 Hospital equipped with all the essential health facilities, Ammar Medical Complex. Functional since 1997, the hospital is situated at famous Jail Road Lahore. The hospital can be accessed with ease from all residential and commercial locations of the city. Ammar Medical Complex deals with various speciallities like General Surgery, Neurosurgery, Gynecology and Obstetrics, Orthopedic Surgery, Gastroenterology, ENT, Pediatrics, Neurology, Cardiology to name a few. There is 24 hours emergency service, a well equipped ICU, and modern post operative recovery unit. All departments of Ammar Hospital are well integrated and aim to provide quality health services to the patients. The staff of Ammar Medical Complex is highly qualified with post graduate training from UK, and USA. The page is based on the basic information about the renowned Ammar Medical Complex. You can access the contact details and consultation timings of the doctors at the panel of Ammar Medical Complex. You can browse and search for Kidney center, Cancer Hospitals, Children Hospitals, Clinic, Eye Hospitals and General Hospitals in Karachi, Lahore, Faisalabad, Gujranwala, Hyderabad, Rawalpindi and other districts of Pakistan. It is an extremely commendable thing that there are healing facility as Ammar Medical Complex are accessible for the treatment in our city Sialkot. It demonstrates that wellbeing is particularly vital for our nation. My father had a heart problem from the last two years so now I am thinking to have his checkup from this institute that may be medicine will work because I can’t see him like this anymore. I am facing with the stomach and typhoid problem from the last six months. I request Ammar Medical Complex to kindly suggest me something good for my health because I am very worried about it. Nine years have been past to my cousin’s marriage and she has no child yet. She lives in Lahore and I will surely tell her about Ammar Medical Complex. I hope that it your treatment will make her mother very soon. ammar medical hospital is very famous hospital. I was put at ease, problem sorted, reassured and on my way. I just want to say thank you. Dr. Farah Aamir is the dermatologist in Ammar Medical Centre who give me relief from dandruff scalp. In every winter I become a victim of Dandruff and hair falling but her prescribed shampoo and medicines helps to control it in this winter season. The hospital prefers to treat patients from underprivileged backgrounds. The departments of ammar medical complex have been renovated to meet the standards, focusing on operation theatres.